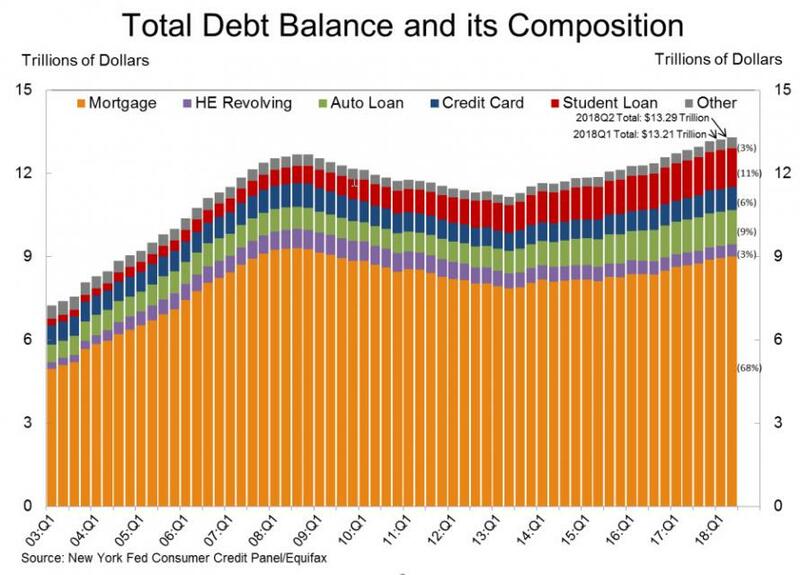 Total household debt hit a new record high, rising by $82 billion to $13.29 trillion in Q2 of 2018, 3.5% higher than a year earlier according to the NY Fed's latest household debt report. 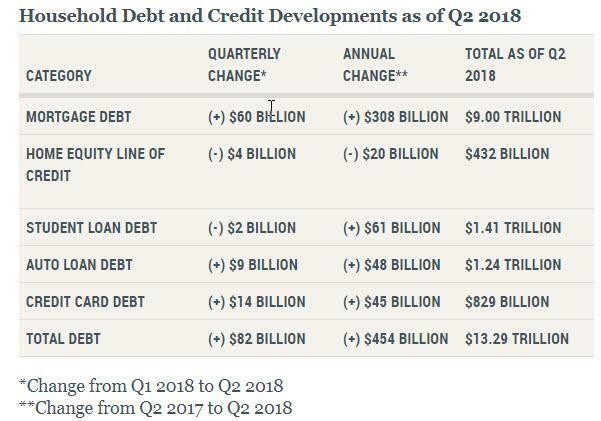 It was the 16th consecutive quarter with an increase in household debt, and the total is now $618 billion higher than the previous peak of $12.68 trillion, from the third quarter of 2008. 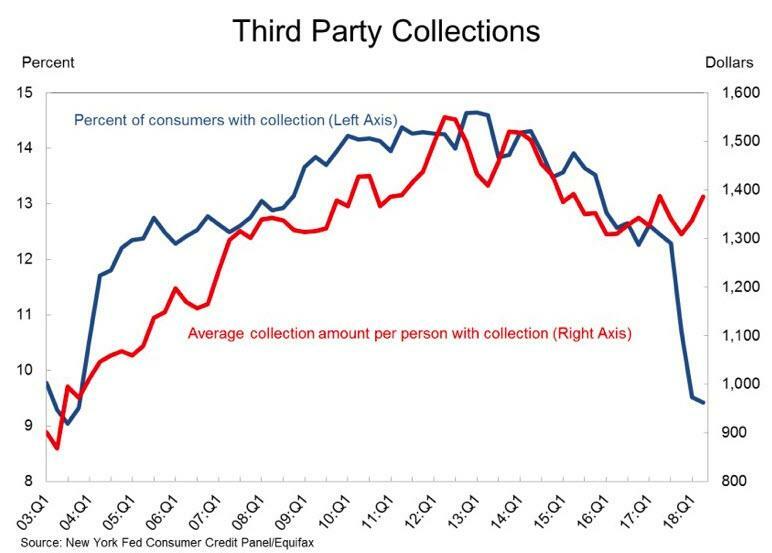 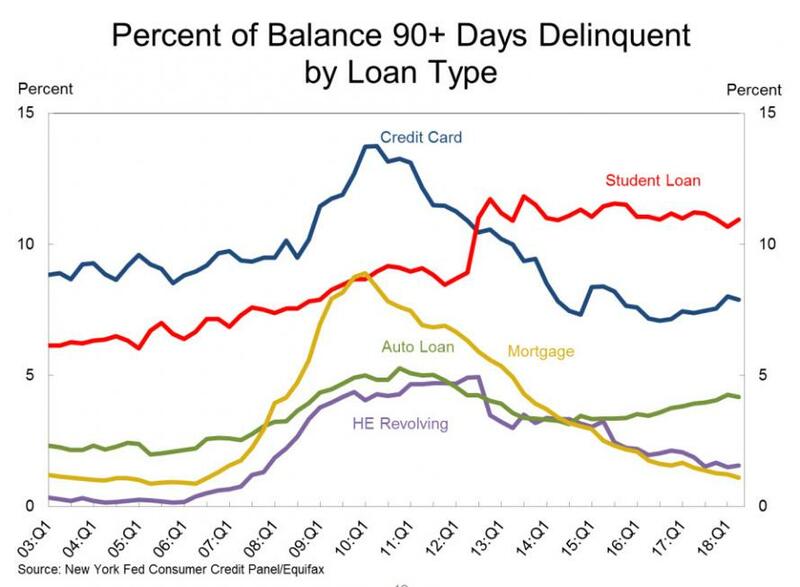 Overall household debt is now 19.2% above the post-financial-crisis trough reached during the second quarter of 2013. 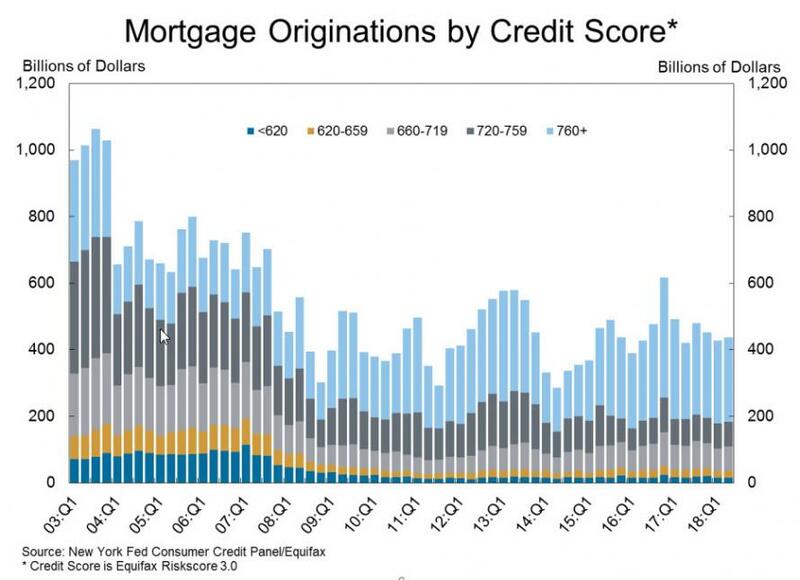 "Aggregate household debt grew for the 16th consecutive quarter in the second quarter of 2018," said Wilbert van der Klaauw, New York Fed senior vice president. 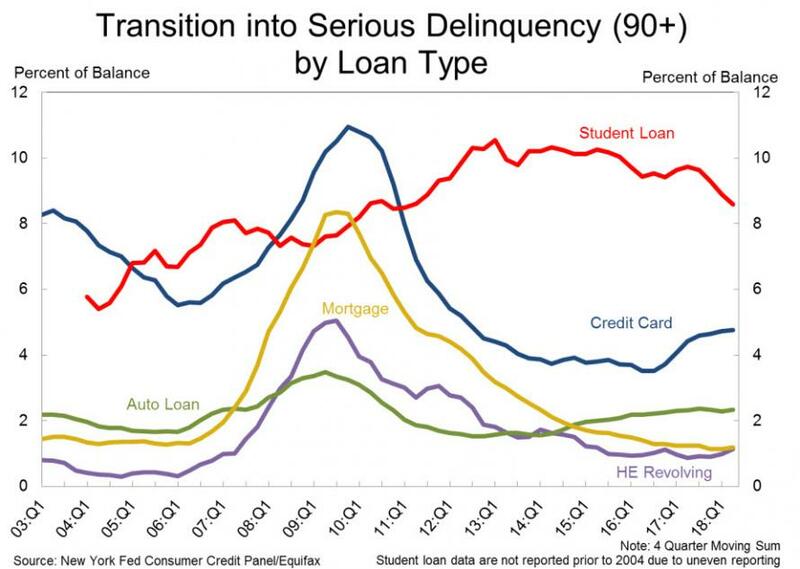 "While overall delinquency rates have remained stable at relatively low levels, transition rates into delinquency have fallen noticeably for student debt over the past year, reflecting an improved labor market and increased participation in various income-driven repayment plans."